Home sales in Toronto and the surrounding area fell to a 10-year low in 2018, as the number of new listings hitting the market declined and homebuyers and sellers grappled with a new reality of higher interest rates and stricter mortgage rules. The last time sales were lower than this level was in 2008. 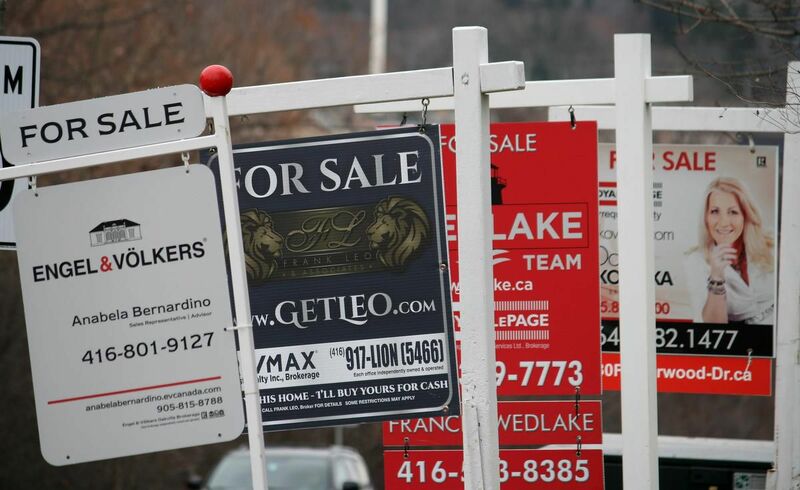 The board, which represents more than 52,000 real estate agents in the region, says the total number of new listings was also lower, pulling back 12.7 per cent to 155,823 in 2018. Meanwhile, the average sale price of all properties — detached, semi-detached, townhouse and condominiums — fell by 4.3 per cent to $787,300. TREB says home prices were up slightly in Toronto but lower in the suburbs as the price of condos — which make up a large segment of the urban market — climbed 7.8 per cent year over year. The board says there was also marked improvement in sales and prices in the second half of the year. “The worst is behind us,” said Tim Syrianos, broker and owner of Re/Max Ultimate Realty in Toronto. Syrianos, who has worked in real estate for three decades, said the pace of price growth and sales seen in 2017 was unsustainable, and what will likely result this year is a more balanced market, with supply continuing to be a challenge. “I see it being a more steady marketplace, with more consumers looking at their options and accepting the new normal of the new lending rules and trying to figure out a way to enter the marketplace,” he said. Realtor John Pasalis said the mortgage stress test, which came into effect Jan. 1, 2018, helped get rid of the “froth” in the market, which had largely been supported by speculators. “It brought us back to a sort of a more balanced level, a level where demand is closer to true end-user demand rather than a market driven by investors which was where we were for the past three years,” said Pasalis of Realosophy Realty. TREB says in December, the number of sales fell 22.5 per cent to 3,781, down from 4,876 in the same month a year earlier. In Toronto, the average price for a detached home last month was down eight per cent year over year to $1.14 million, and down 2.2 per cent to $891,095 in the surrounding areas.